As every day, processing ceramics and drawing selected vessels was carried out today. 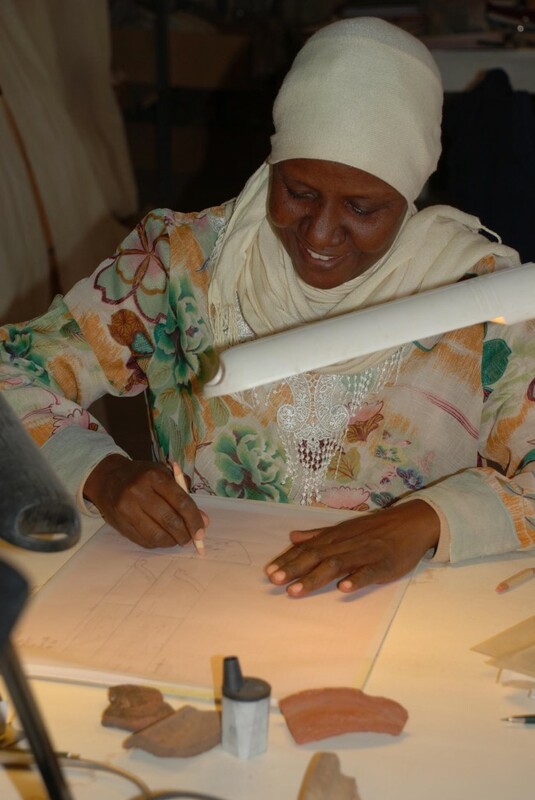 We are happy that Huda Magzoub, our inspector and skilled drafts person, joined us again in the lab to help with drawings. Documentation of the material from old excavations at SAV1N, especially from the early levels of the 18th Dynasty, is continuing; the freshly excavated material from SAV1E requires cleaning and reconstruction work as first step. 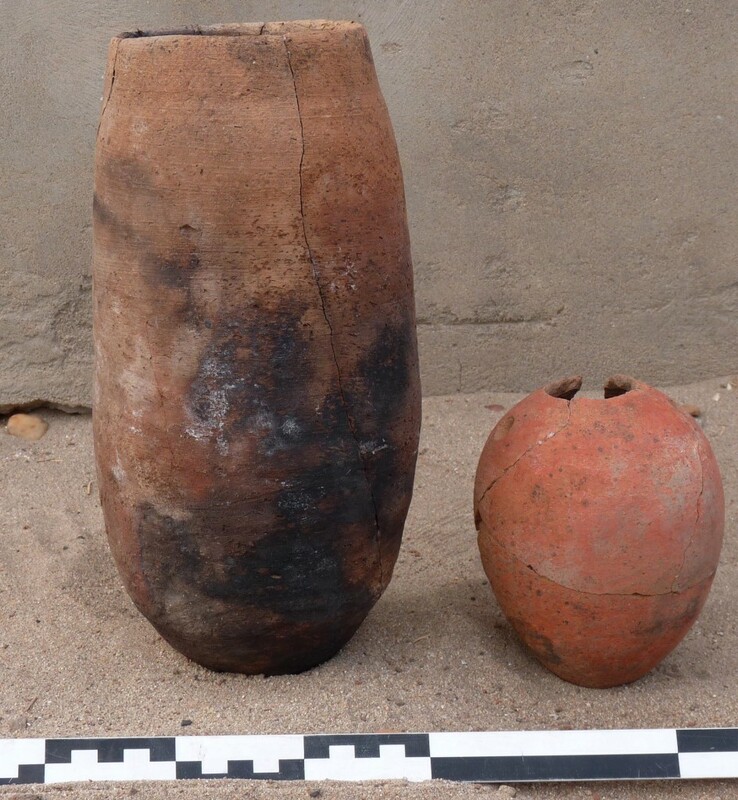 Today, we finished the in situ-vessels from feature 14, the large beaker and the small ovoid jar – they are now ready for drawing! This entry was posted in 18th Dynasty, Ceramics, New Kingdom and tagged Ceramics, Sai Island by Julia Budka. Bookmark the permalink.